BioProtect might sound a lot like a washing detergent, but it’s actually a clever new jailbreak tweak that allows iDevice users to lock individual iOS apps using Apple’s Touch ID. Plus, another jailbreak package - AppLocker - recently got updated for iOS 7 and also added support for a similar fingerprint-scanning feature. 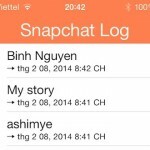 The two jailbreak tweaks are relatively similar when it comes to protecting iOS applications using Touch ID. Each adds a new pane in the Settings app, and here users can toggle which applications are protected by BioProtect or AppLocker. It looks like AppLocker also allows users to secure iOS folders, too, while BioLocker is limited to apps only; AppLocker also includes a “Reset Password Phrase” feature. However, what BioProtect lacks in terms of more advanced functionality it makes up for with its impressive interface (pictured above). AppLocker provides iDevice users with a pop-up text field when they attempt to unlock a protected iOS app or folder; BioProtect rather includes a fully-fledged fingerprint-scanning interface, and users can even customize the appearance of this pop-up notification in the Settings app (in order to have BioProtect match the color of their iPhone’s Touch ID-equipped Home button). 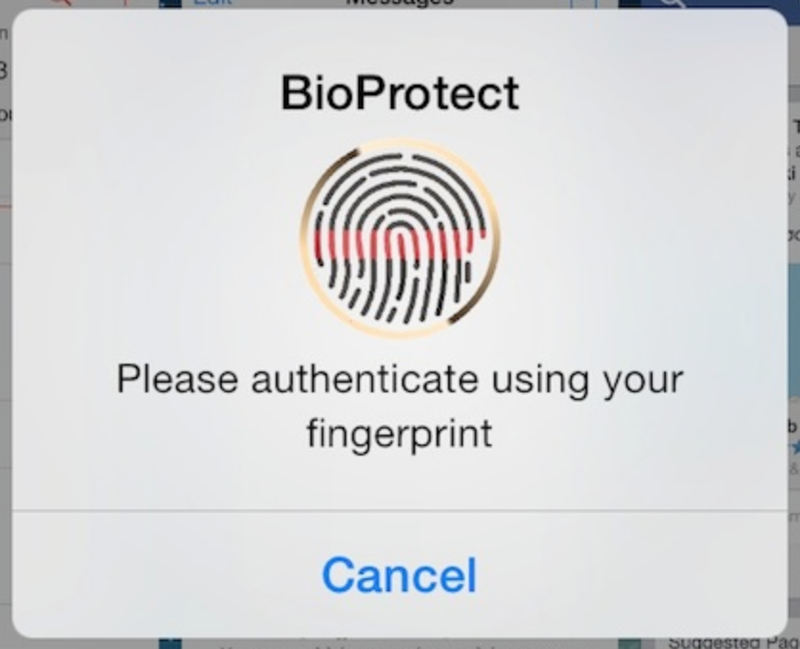 BioProtect’s less intricate options means it’s easier to set up, too; it provides users with one single feature - Touch ID protection for individual apps - but it does this job particularly well. Price could sway prospective customers, though. 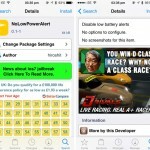 Because while BioProtect carries a $2.99 price tag, the competing AppLocker is available for just $0.99 - plus, it can be downloaded as a free update for previous owners of the jailbreak tweak. In this respect, it could be that AppLocker is the better option - for now, at least. If you’re interested in downloading a dedicated jailbreak tweak for the iPhone 5s, consider Virtual Home. It’s a great package that allows users to turn their handset’s Home button into a “virtual button.” Once downloaded and installed, users need only rest their finger against their smartphone’s Home button in order to navigate between screens or to enable multitasking; Touch ID’s fingerprint sensing metallic ring makes this possible. See also: P0sixspwn For iOS 6.1.3–5 Now Available For All The Windows Users Out There, Day 10 Of Apple’s 12 Days Of Gifts Offers “Great Vibrations” Episode Of “Sesame Street”, and Fox To Offer Free Live Streaming Of Super Bowl XLVIII Via Website And iOS App.